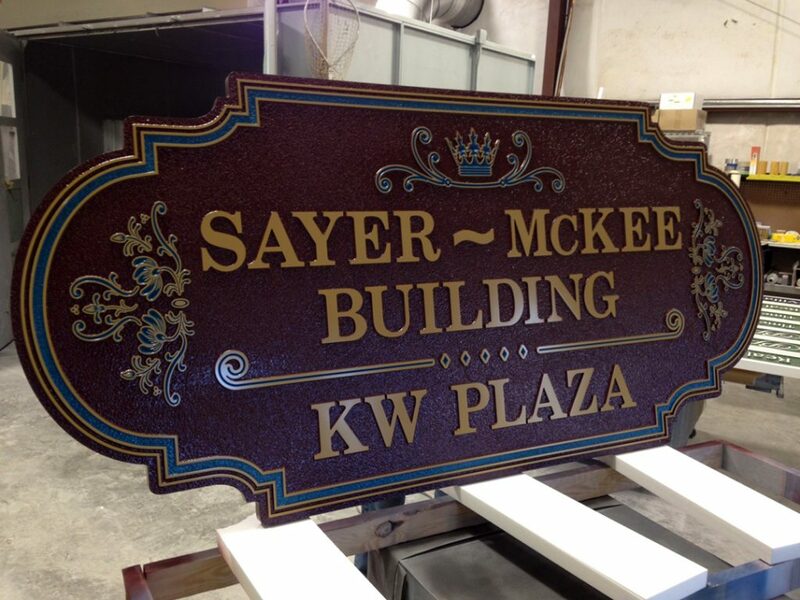 “Sayer McKee building had a difficult time about a year ago. After many years, the Front of the building gave way and fell into the sidewalk and street of downtown Leadville CO. The historical building location has gone through many changes over the last 130+ year, From foundations dating in the 1800’s to a 1940’s built Grocery store. Kyle Welch, a Leadville local businessman has given the building a complete and total makeover. The Sayer-Mckee / KW Plaza is now redesigned, remodeled, and rebuilt for this century. Currently we are looking for tenants to occupy the space, which includes the countries Highest Commercial Rooftop Patio with amazing views of Colorado’s highest 14’rs.This unique place is a true Colorado destination. The Sayer-McKee / KW Plaza is currently looking for the ideal business to take advantage of a truly unique location. Signarama created an amazing sign that compliments the look and feel we were going for at this location.